The Centers for Medicare & Medicaid Services (CMS) has issued a final National Coverage Determination (NCD) allowing Medicare and Medicare Advantage patients to be reimbursed for next generation sequencing (NGS) testing across all solid tumors with Foundation Medicine’s FoundationOne CDx comprehensive genomic profiling assay. The final NCD expands patient eligibility for Medicare reimbursement beyond the draft coverage determination reached by CMS in November—a decision reached following a concurrent review of FoundationOne CDx by the FDA, through the agencies’ Parallel Review Program. Those tumors account for approximately 50% of the volume of solid tumors tested by Foundation Medicine, the company said. 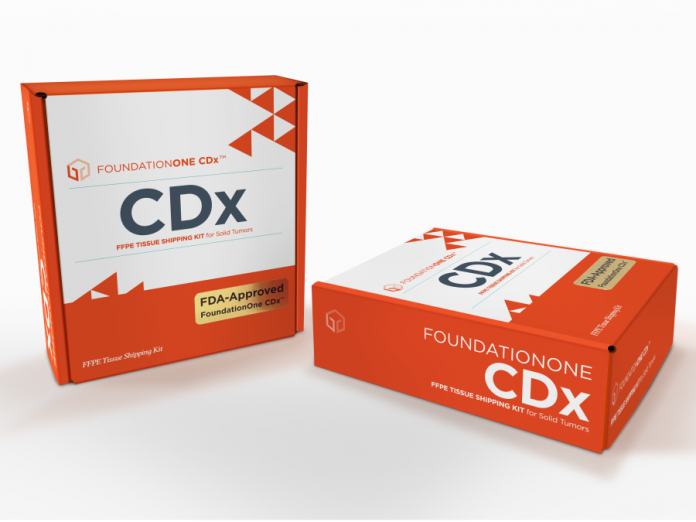 Foundation Medicine and Cox have called the commercial launch of FoundationOne CDx among the company’s strategic priorities for 2018. “In the near-term we will focus on the launch and scale of FoundationOne CDx as our next flagship product,” Foundation Medicine stated in its Form 10-K Annual Report for 2017, filed March 7. Foundation Medicine is majority-owned by Roche—which has ex-U.S. rights to commercialize FoundationOne CDx and other tests of the company. To support the launch of the test outside the U.S., Foundation medicine now operates a lab in Penzberg, Germany. Adding coverage for patients with Stage III metastatic, recurrent, relapsed, or refractory cancers, in addition to the Stage IV relapsed or refractory cancers. Including repeat testing when a new primary cancer diagnosis is made by the treating physician and the patient meets other clinical criteria. The draft NCD did not include repeat testing. Removing coverage with evidence development for tests that have not been authorized by the FDA. Such coverage was included in the draft NCD. “Many commenters reported that they are already developing or have developed the evidence to demonstrate these diagnostic laboratory tests using NGS to improve health outcomes for Medicare beneficiaries with cancer—or are equipped to conduct their own studies to generate evidence that use of the test guides management and treatment, and improves health outcomes for the Medicare population,” CMS said in a statement Friday announcing the final NCD. FoundationOne CDx is designed to detect substitutions, insertion and deletion alterations (indels), and copy number alterations in 324 genes and select gene rearrangements. It is also designed to detect genomic signatures, including microsatellite instability and tumor mutational burden, using DNA isolated from formalin-fixed paraffin embedded (FFPE) tumor tissue specimens. In addition to covering FoundationOne CDx, CMS has agreed to fully cover FDA-approved or 510(k)-cleared companion in vitro diagnostics when the test has an FDA-approved or cleared indication for use in that patient’s cancer; and results are provided to the treating physician for management of the patient using a report template to specify treatment option. Coverage determinations for other diagnostic laboratory tests using NGS for Medicare patients with advanced cancer will be made by local Medicare Administrative Contractors, CMS added. In its statement, Foundation Medicine said its FoundationOne CDx was the only NGS assay that now meets CMS’ requirements for Medicare eligibility.